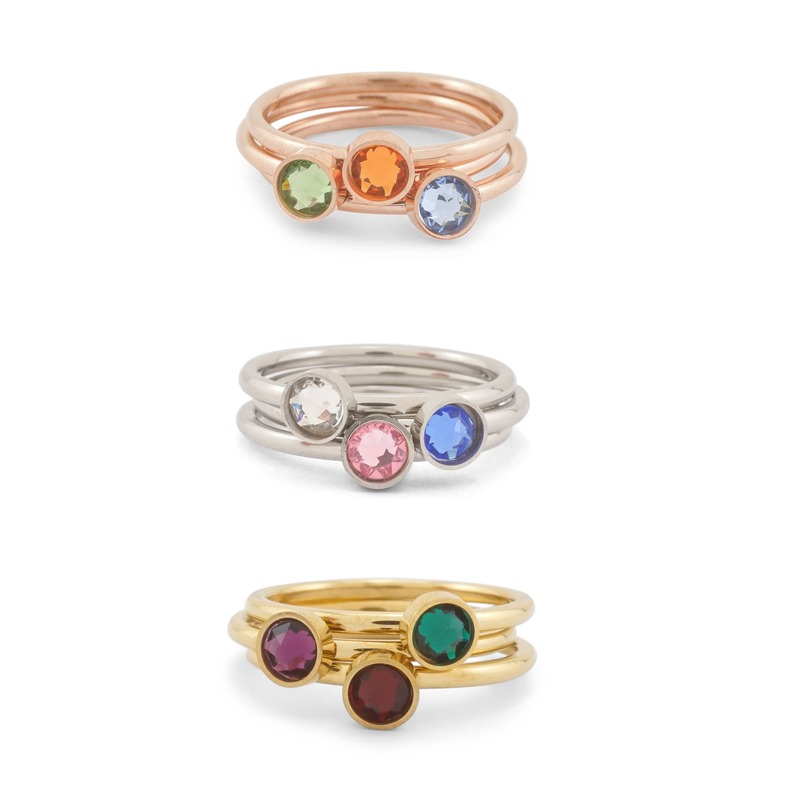 Create your own beautiful and unique set of stacking rings. 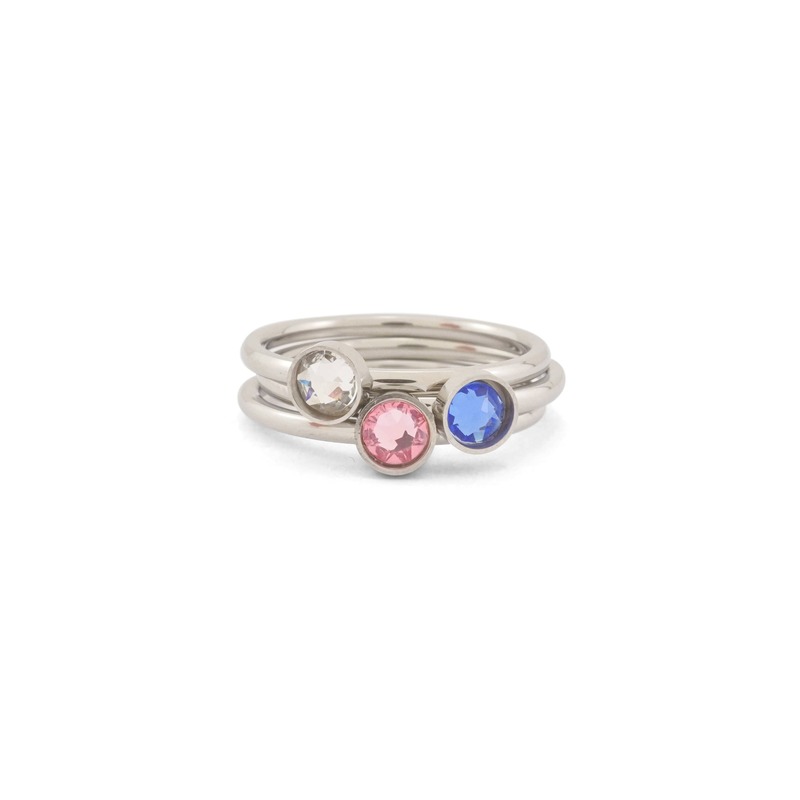 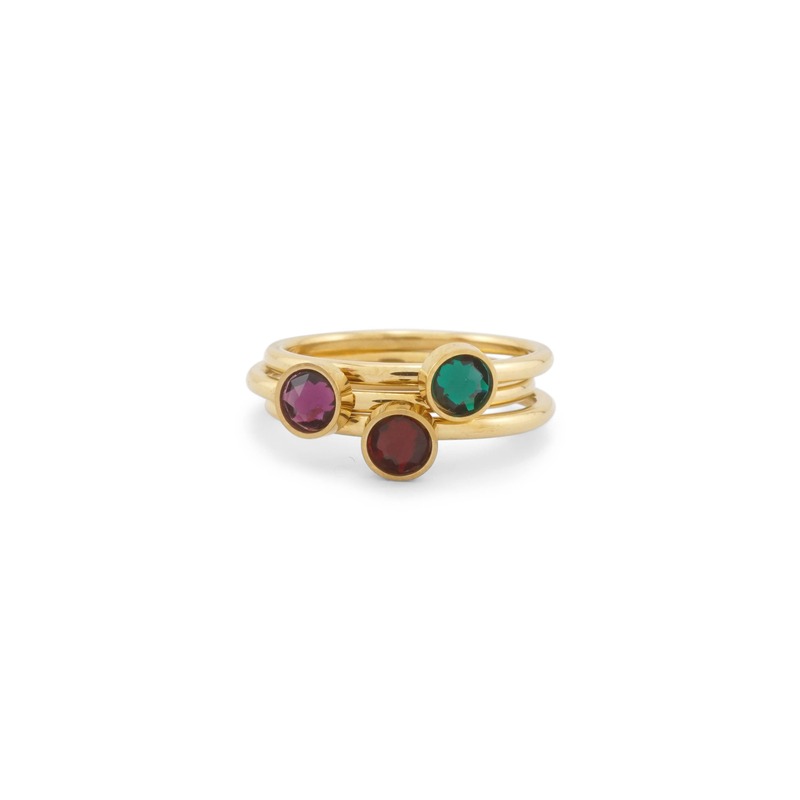 Choose a ring to represent your own birthstone, or choose several to represent the birthstones of your loved ones. 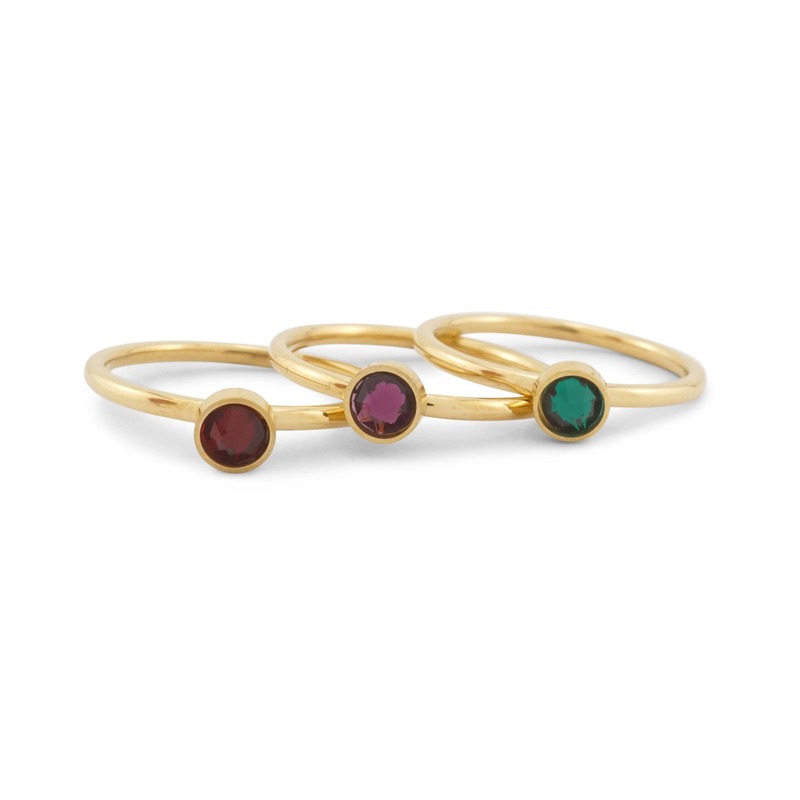 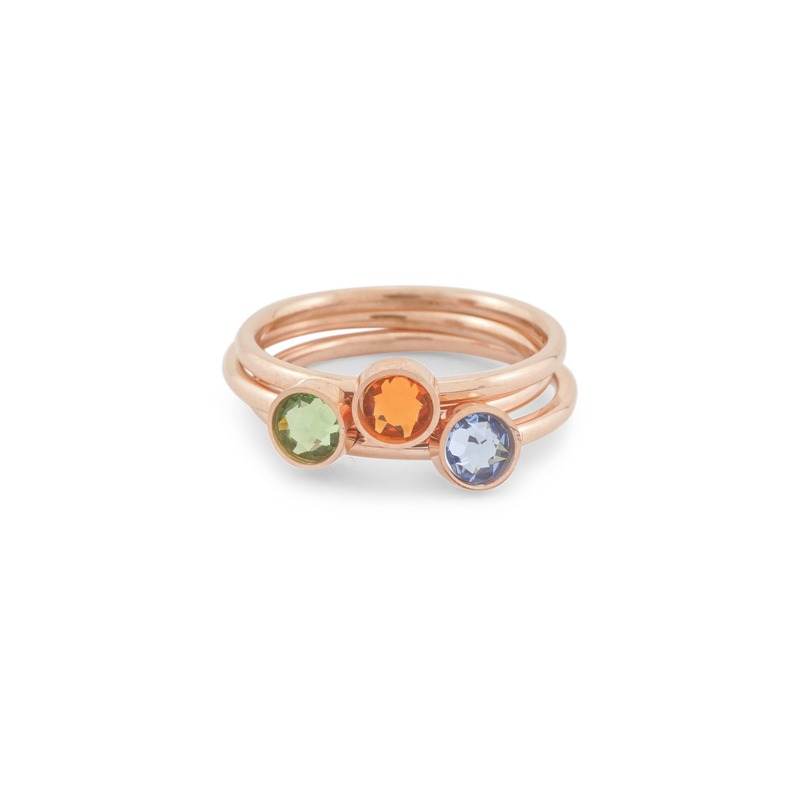 Or for a more fun approach just to add some color to your wardrobe, create a colorful stacking set by mixing and matching your favorite birthstone colors. 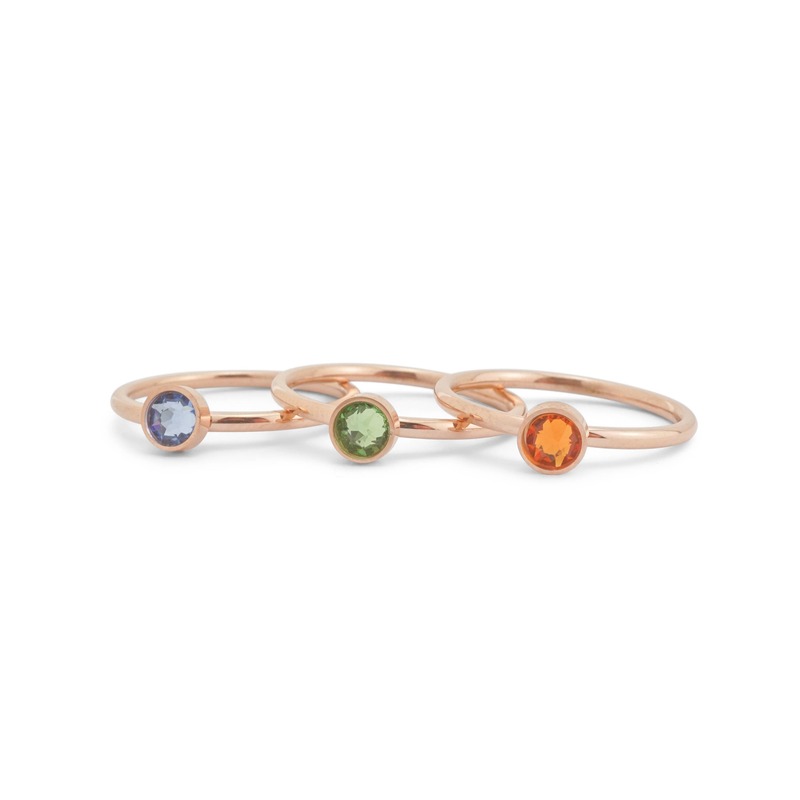 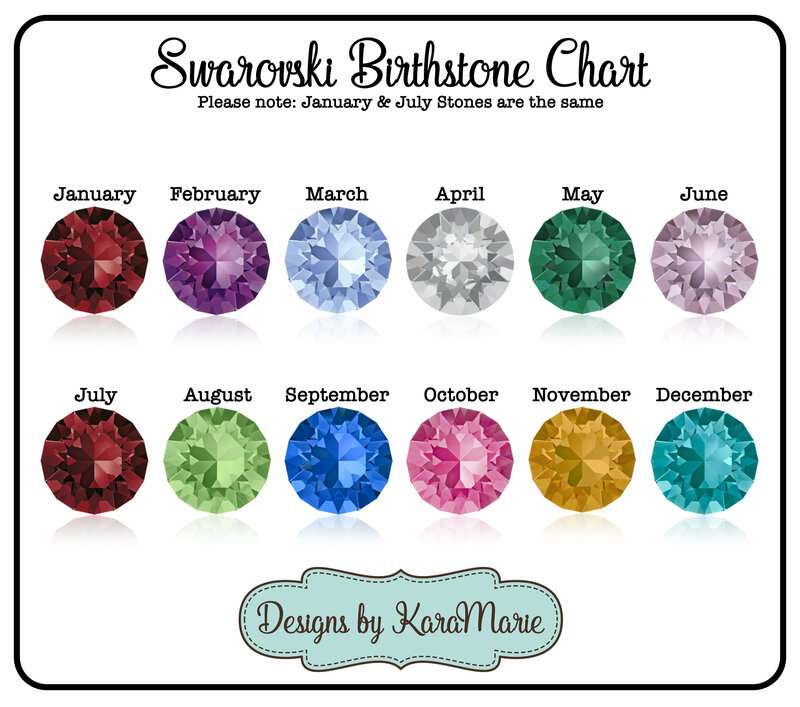 Each birthstone measures just 4mm in diameter and is set in stainless steel, rose gold plated stainless steel, or gold plated stainless steel. 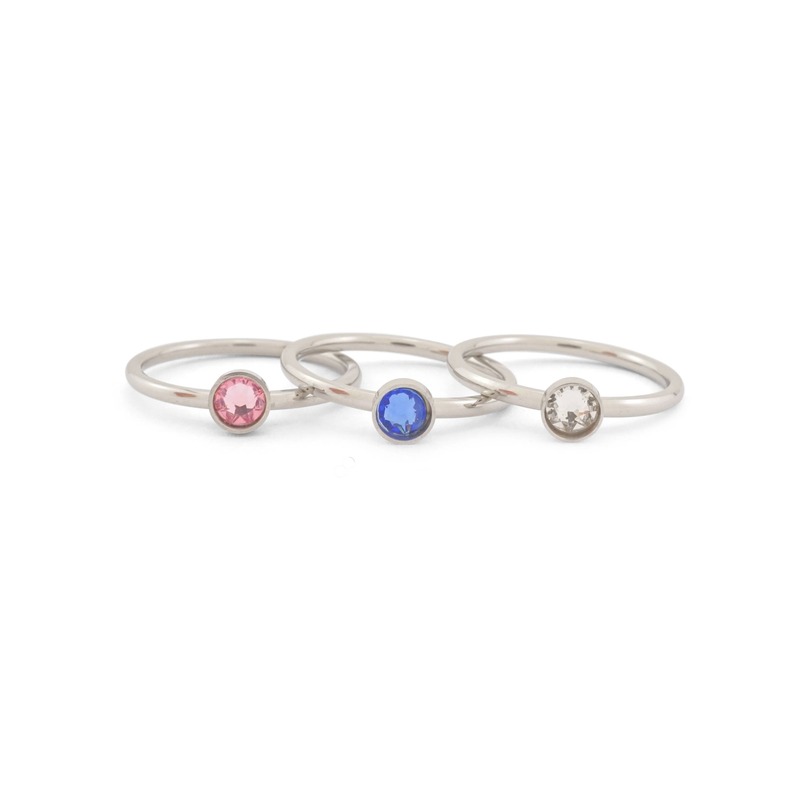 Stainless steel is a wonderful alternative to sterling silver, as it is hypoallergenic, will not turn your fingers green, and does not tarnish or discolor!